With clean and modern lines, a magnificent oceanfront location and unparalleled attention to detail, the Breakers at Cane Bay provides a truly luxurious villa experience on St. Croix. 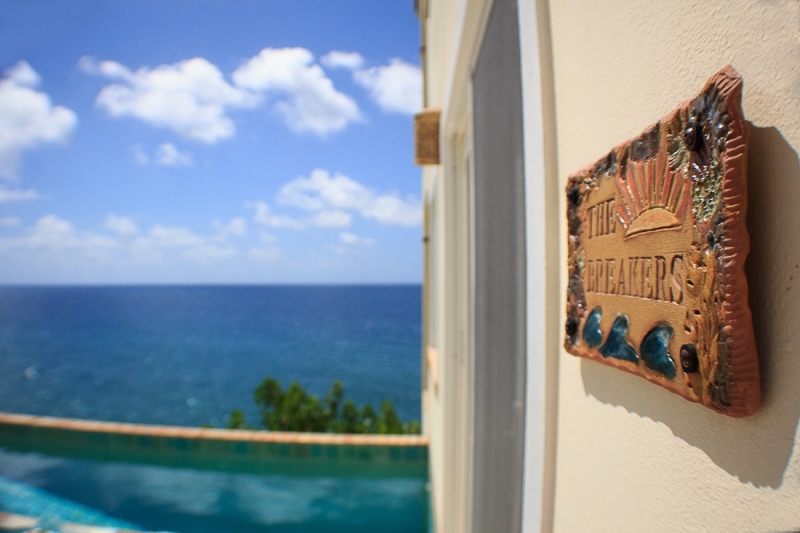 The Breakers is located on a dramatic bluff with wonderful views of The Caribbean Sea, Hamm’s Bluff and Cane Bay. It’s triplex design provides the utmost in privacy for two couples, with the huge bedroom suites located on the first and third floors, separated by the pool level living area. It’s private oceanfront location is just a short stroll from the beaches, diving, restaurants and bars at Cane Bay. This new, finely detailed neo-Mediterranean style villa includes features and amenities that you would expend to find in a much more expensive property, including travertine flooring, French terra cotta roof tiles, antique brick patios, coral stone pool deck, locally handcrafted lighting fixtures, cook’s kitchen with marble counters and professional appliances, beautiful baths with premium nickel faucets and spacious travertine showers, central air conditioning, and two sumptuously furnished equal king masters with en suite baths.